For the second week in a row, we’re continuing to build on the capabilities we’d promised to deliver in the October blog post around managed distribution of content. These two new features are both rolling out now across the globe, and you should see them available in your tenant by Feb 10th. 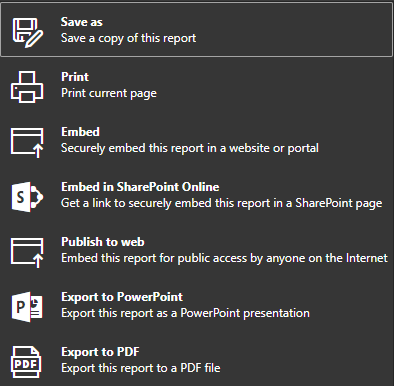 The first new feature is one that has long been a top customer ask – the ability to export your Power BI report as a PDF document. Now all users will have the ability to export their reports to either a PowerPoint presentation or PDF document. To get started, locate the File menu from any of your reports and open the dropdown. You’ll see the option to Export to PDF just after the Export to PowerPoint option. Once you select it, the PDF will be generated and be downloaded for you. When you open the downloaded file, each tab in your report will be a different page in your PDF document. Unlike the experience in Export to PowerPoint, however, there is no “title slide” added, and the text you’ve exported is available for you to copy to your clipboard. One item of note – many, many users have been asking when the filters/slicers/bookmarks they’ve selected will be respected when they export to either a PowerPoint or PDF. 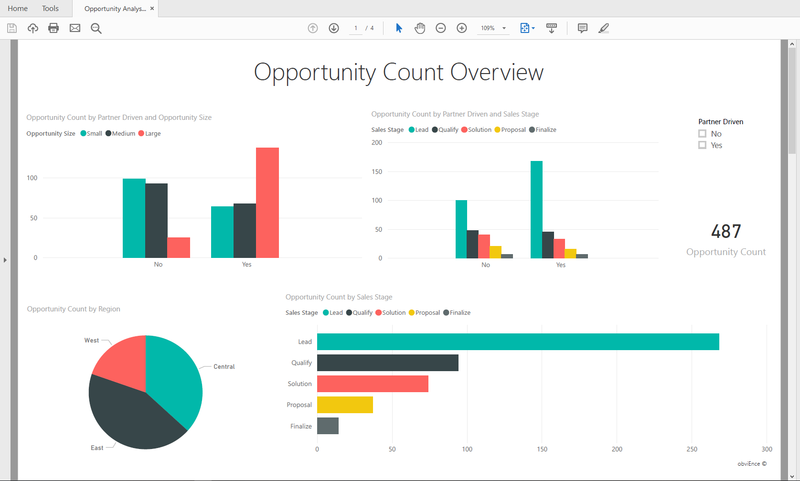 While that isn’t the case yet, that capability is coming in very short order, so keep watching the Power BI blog for an announcement around that feature in the not too distant future. Additionally, we have another enhancement available for e-mail subscriptions shipping this week as well – the ability to run any subscription you want on-demand. Now, with any of your e-mail subscriptions, if you need to run it and send an e-mail right away, you can do just that. Just click the “Run Now” button that appears next to the name of your subscription, and it’ll be sent to you and/or any other users you’ve subscribed to that content. This is a great way to quickly send a one-off to all your subscribers of the latest view of your report or dashboard, or simply test your subscription after setting it up. You can do it as often you’d like for any of your subscriptions, so give it a try today! We’re really excited to hear your thoughts about these new capabilities, so be sure to review the documentation for additional details and leave us your feedback in the comments below. Thanks for reading!